As an eminent domain attorney, when I think about a “takings” claim, I always think about a claim involving someone’s real property. Has the government trespassed onto private property, has it imposed regulations that deny the owner an economically viable use of the property, etc.? But every once in a while, we get a reminder that “takings” do not always involve real property. Rather, any private “property” may be taken. Thus, we get cases like last month’s U.S. Supreme Court decision in Horne v. Dept. of Agriculture. 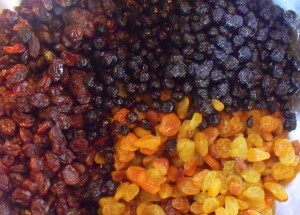 There, the government sought to force raisin growers to turn over a portion of the year’s crop to the government under the provisions of a 1937 (think, depression-era) program intended — at least on its face — to artificially reduce the number of raisins flooding the market in good years, thereby boosting the price of the raisins that remained on the market. The Hornes claimed that this program resulting in a taking under the Fifth Amendment. In the Ninth Circuit, the Court of Appeal had held that takings claims involving personal property are subject to a higher threshold than takings claims involving real property. In other words, the Court concluded that the Takings Clause protected real property more than other property. Nothing in the text or history of the Takings Clause, or our precedents, suggests that the rule [regarding what constitutes a taking] is any different when it comes to appropriation of personal property. The Government has a categorical duty to pay just compensation when it takes your car, just as when it takes your home. Having reached that conclusion, the Court had no difficulty concluding that the forced appropriation of a portion of the raisin crop qualified as “a clear physical taking.” The Court was more divided on how to assess the amount of “just compensation” to be awarded, but I’ll leave that part of the discussion for another day (mostly since I find it less interesting than the holding on the taking itself). Ilya Somin, Property owners prevail in raisin takings case, which appeared as a June 22 Washington Post article. But turning back to the main point here, which is not really to talk about raisins. The point is that we should take a moment every once in a while to remember that while a “taking” must indeed involve private property, it need not involve real property. And if you want to expand your mind just a wee bit more, consider this: if takings jurisprudence applies to all property equally, couldn’t it apply to intangible property, such as intellectual property (copyrights and the like)? For an interesting discussion of that concept, read Ian McClure’s piece on the subject, Intellectual Property and Eminent Domain: A plausible combination?